I make extensive use of calendars to organise my life, particularly Google Calendar. I also use Facebook to organise and follow events. You can sync an iCal of your Facebook Events to Google Calendar, which is great. I only have to go to one place and I won't miss anything. Except that sometimes some Facebook events won't sync, and other times, Google Calendar entirely loses the iCal record. I usually discover this after the events have passed and people ask where I was. I wonder why these two problems happen. With the latter, does Facebook expire webcal links to iCals after a period, and is Google just silently dropping the record for the calendar? Or is it entirely Google somehow losing external calendars? If it's the former, I'd much prefer if Facebook would note such a duration, and if Google would note an error with a webcal link rather than just silently dropping the configuration. Facebook in general I find bad at creating awareness in me of which events are happening soon. I believe they might show me a notification at the start of the day, but that it won't persist after I've viewed it the first time. After that, I have to go to the Events' sections' Explore tab to see some of the upcoming events in a non-concise format (with bulky images). 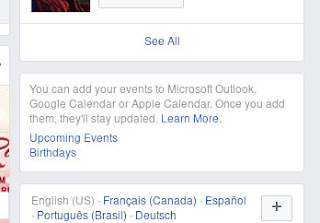 Often, I end up having to go to the Facebook Events Calendar view to get a clear picture of what's happening when within Facebook. 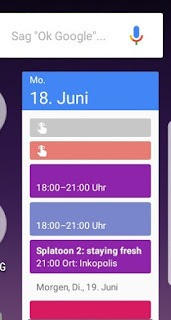 Compounding the issue of having to reconnect my Facebook Events to my Google Calendar, neither of their mobile apps expose the features necessary to do so, and I don't often log in to my computer outside of work anymore. To do it from my phone, I have to visit the Desktop website, zoom in to click my way around to the Facebook Events page, and find the webcal link on the right hand side. Clicking that link won't open anything, too bad my phone can't pass it to the Google Calendar app to handle. Then, in the Google Calendar mobile app, I cannot seem to find an option to add calendars at all, let alone by webcal URL. I then have to go to the Desktop version of the website, and again zoom around to click until I can find the add by link option, and paste it in. After that, I can then go to my Google Calendar app and ... still see no Facebook Events. 😠 I then have to go to settings there, find the calendar, and enable Synchronise. Two FB events for today now show! "The Race to Make a Great Fake Steak"